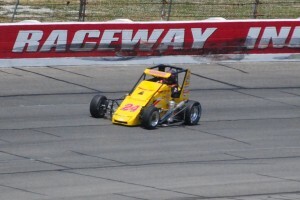 It was hot at Lucas Oil Raceway in Brownsburg, Ind., on Saturday. Oh man, was it hot. 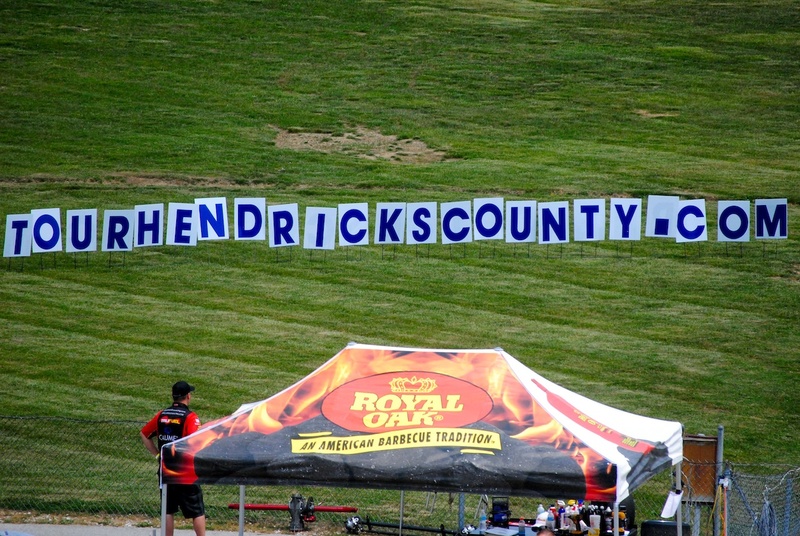 With the way that the 67th Annual TourHendricksCounty.com Night Before the 500 ended, though, it was totally worth it to be there. I arrived at Lucas Oil Raceway when the gates opened at 2 p.m., and I&apos;d estimate that the temperature outside was roughly four times that of the surface of the sun. Give or take a degree or two. 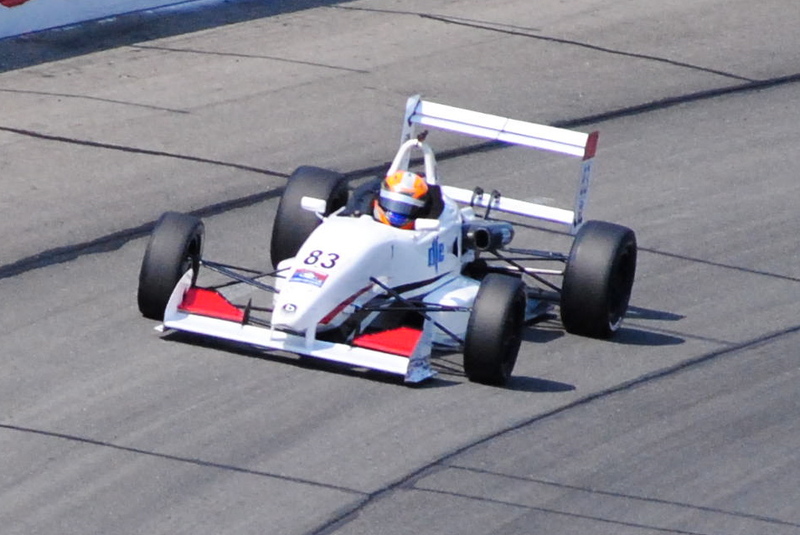 But I wanted to get there early because I didn&apos;t know much about the Star Mazda series or the USF2000 series. As it turns out, cars in both series look like smaller versions of IndyCars, and speed-wise, they&apos;re both comparable to the USAC Midgets. USF2000 cars were running at around 110 mph, Star Mazda cars were in the neighborhood of 115 to 120 mph, and the Midget cars were right around 115 mph. 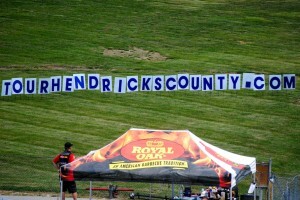 I also learned that there was some Hendricks County flavor to the USAC Midget race. Brad Kuhn from Avon, Ind., had the best day of the local racers, winning his heat race and finishing in 6th place in the feature. He currently sits in the No. 9 position in the points standings. Mercifully, by the time the races started at around 7:30 p.m., the heat was beginning to subside. I milled around the packed seating area for awhile before finding a perch on a hill by Turn 1 just in time to see the green flag drop in the USF2000 race. No sooner had the cars gotten up to speed, however, than Heamin Choi lost control of his car right in front of me on Lap 2. Choi took seven other cars out with him in a nasty wreck that sent him to the hospital. Once the racing was back underway, Spencer Pigot and Matthew Brabham battled back and forth for several laps with Pigot finally edging Brabham by a measly 0.835 seconds. 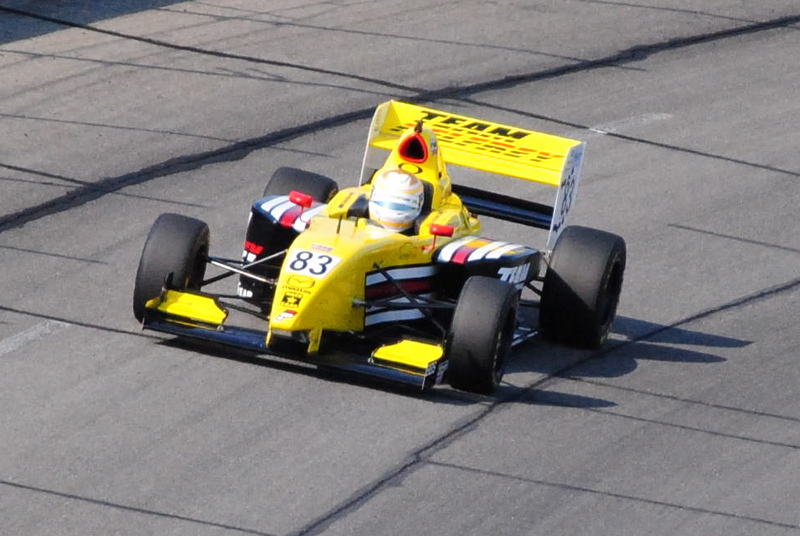 The Star Mazda Series race was considerably less dramatic. There was no massive wreck, and Connor De Phillippi - who won this race last year - led from start to finish in this one. Starting from the pole position, De Phillippi cruised to a comfortable win by nearly two seconds. The topper was the USAC Midget feature. Points leader Darren Hagen jumped out to an early lead for 15 laps, but Kyle Larson relieved Hagen of that lead on Lap 16 and held his position through Lap 49. However, in the final turn of the final lap, Tracy Hines of New Castle, Indiana, who had been creeping up on Larson for quite some time, made his move. After spending several laps reeling him in, Hines dropped under Larson in Turn 3 of Lap 50. In Turn 4, Hines took the inside track again and slipped past Larson, taking the checkered flag and thrilling the packed house. It was one of the most exciting finishes to a race that I have witnessed in a long time. All in all, it was a great day at Lucas Oil Raceway, even with the heat. I can&apos;t wait for the next event at Lucas Oil Raceway on June 9! That oval event will feature the Must See Racing Xtreme Sprint Series as it makes its inaugural appearance on the .686-mile oval at Lucas Oil Raceway alongside the TopSpeed Fabrication/CRA Late Model Sportsman Series. Gates open at 5 p.m., followed by practice sessions, qualifying, an autograph session and heat races leading up to two feature events at 9 and 9:30 p.m.